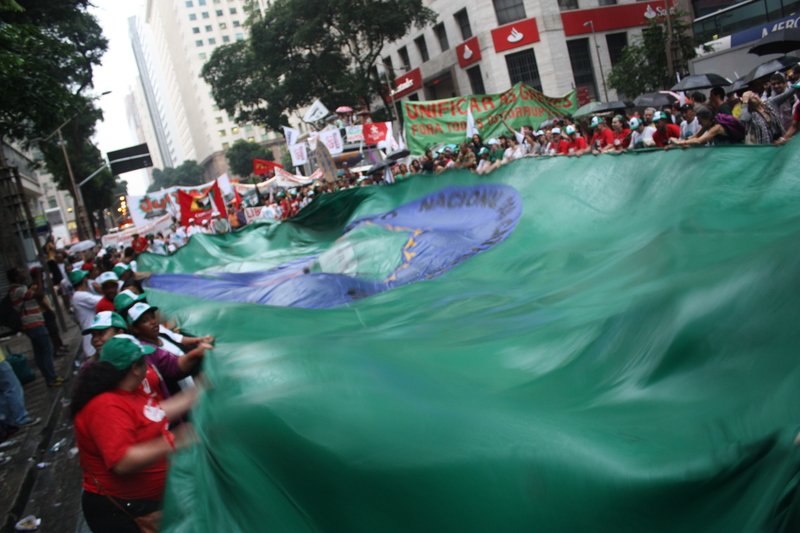 The young, uniformed cartoneros caught the attention of passersby in the crowd not only because of the size of the group – 35 – but because of the worker’s uniform they wore for the pilgrimage. It consists of dark blue pants and jackets lined with neon green strips for visibility. It clearly marked them as workers. 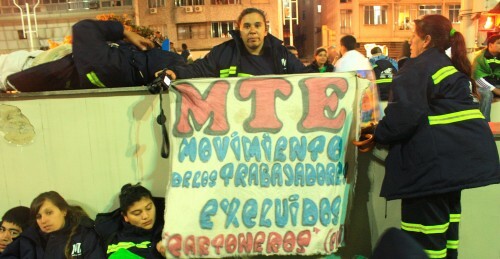 The members of the MTE stood out for another reason. 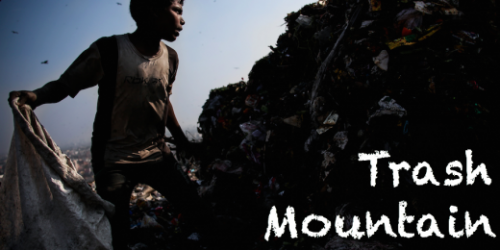 They conveyed a seriousness that was in contrast to the many of the chatty, smart phone-carrying teenagers. They are young workers, and they seem older than their years. 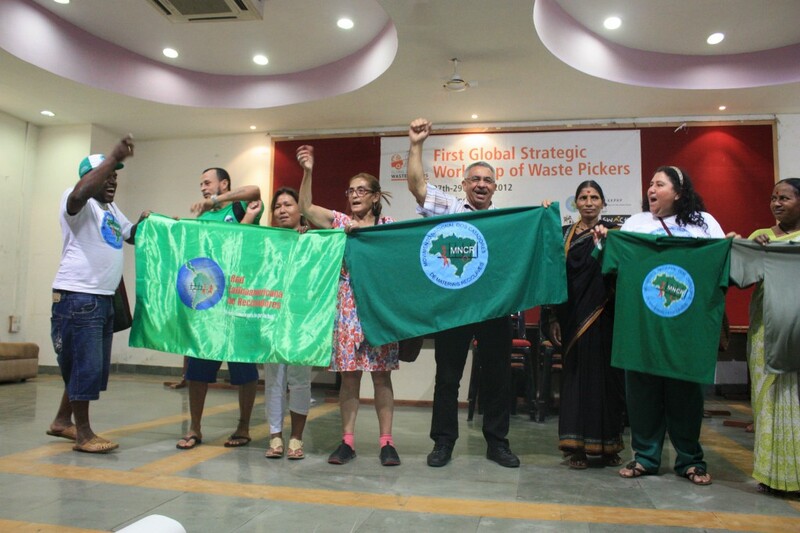 Waste pickers from the National Movement (MNCR), Uruguay, Colombia, Nicaragua, the Dominican Republic, and India, marched together with thousands of social movements from around the world yesterday, June 20, at the People’s March. Maiores informações mais tarde. More information coming soon. 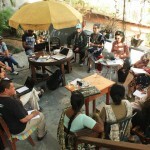 On June 16, waste pickers from India and six countries in Latin America, along with allies with GAIA, the Global Alliance of Waste Pickers and Taller Ecologista, spent the day discussing and planning the messages they will take to Rio+20 and the People’s Space. 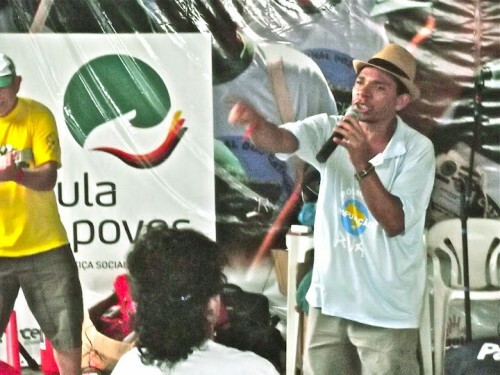 One of the first topics of discussion was the context of the Rio+20 meeting and what it means for waste pickers. Waste pickers with the national Brazilian movement (MNCR) provided local context about waste pickers in Rio as well as throughout Brazil. 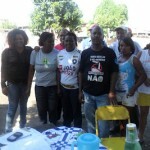 No dia 17 de Maio o “Conselho de lideranças dos catadores(as) do Aterro municipal de Gericinó realizaram a 1ª reunião de trabalho,com o objetivo de exigir da Comlurb a apresentação de ” um plano de encerramento para o Aterro de Gericinó” no prazo de 60 dias. 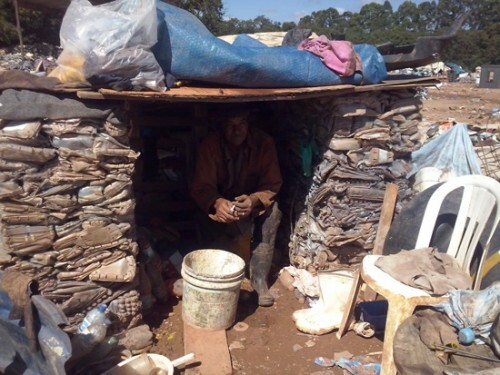 Nesta reunião foi construída uma carta de reivindicações com pontos considerados fundamentais para os(as) catadores(as) do aterro de Gericinó que devem fazer parte deste plano de encerramento.